Tron seems to be expanding at a fast pace. Last year this was mainly getting various exchanges to list TRX. Now the expansion is mainly about partnerships with other companies and attracting dapps makers from other blockchains. interest in launching their tokens on the Tron network. As reported by the Tron blog on Medium, one of the most recent collaborations set up by Tron is a partnership with Smarm. That is a DLT company that provides a service of issuing tokenized assets. Tron says that only thoroughly licensed asset providers and those complying with all KYC regulations can cooperate with Tron. Swarm has chosen Tron among other blockchains for the high speed of transactions and a low price on those. 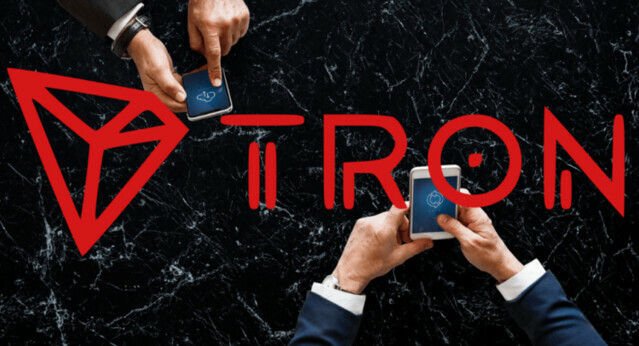 Recently, Tron boasted a record of exceeding the amount of daily transactions provided by Ethereum and EOS. Justin Sun, the CEO of Tron, approves of this partnership, giving a positive feedback about Swarm. He said that this firm expands opportunities for digital investments. Sun reckons that this partnership will enable Tron to take one more step towards decentralizing the global financial system. As reported earlier by EthereumWorldNews, recently Justin Sun announced in a interview that this year a collaboration between Tron and Ethereum will take place. He also reminded the community about the upcoming launch of the Tron-based USDT stablecoin that will be conducted in cooperation with Tether and Bitfinex exchange. Now, USDT, even though it is considered the best stablecoin by some experts, it is not the only one circulating in the market. Crypto investors prefer to use stablecoins to decrease the volatility of their assets, since these coins are backed by real assets, most frequently by US dollars. In its Q1 2019 report, a prominent dapp-related web platform Dapp.com mentions that Ethereum has been losing a lot of dapp users this year. However, being a pioneer in this field, now it seems to be losing its positions to EOS and Tron. Next Is Binance Setting The Example All Crypto Exchanges Should Follow?